Tangled and True: pillow talk. 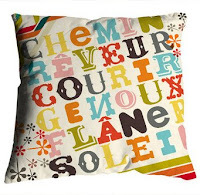 Wouldn't it be fun to create a room around these pillows? I especially love the numbero one. I'd even be willing to re-learn the alphabet and my numbers just to have them. Those are cool pillows! 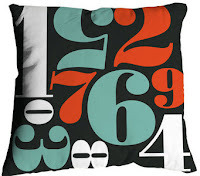 It would be fun - like you said - to do a number or letter-themed room.